Posted September 2, 2014 by Sue Peffer & filed under News. 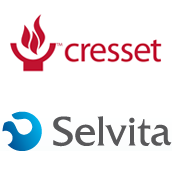 Cambridge, UK – 2nd September 2014 – Cresset, innovative provider of computational chemistry software and services, is pleased to announce that Selvita S.A., a drug discovery company located in Krakow, Poland, has licensed Cresset’s Forge and Spark. These applications provide extensive capabilities in SAR analysis, ligand-based molecular design and bioisosteric replacement.